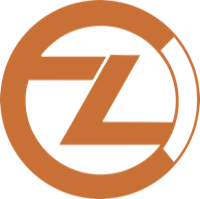 ZClassic, (symbol ZCL) has been in the crypto world since November 10th, 2016 and operates independently of a single administration, such as a central bank. It is a mineable decentralized digital asset, using the EquiHash algorithm and the proof of work (pow) consensus. You can estimate the profitability of mining ZClassic using our calculator. There is also a mining calculator widget that you can use on your own website or blog. ZClassic can be found online, on social networks like Twitter and Reddit. We don't have any cloud miners listed for ZClassic yet, check back soon! Visit our full zclassic mining calculator. We don't have any wallets listed for ZClassic yet, check back soon! We don't have any debit cards listed for ZClassic (ZCL) yet, check back soon!